committed to the cause of endangered species, within the framework of his I’M NOT A TROPHY project. The I’M NOT A TROPHY operation combines art and a just cause, represented by its muse Cara Delevingne and by emblematic endangered species, as seen by photographer Arno Elias. Elias is the founder-publisher of this operation and shares his photographic project with us. 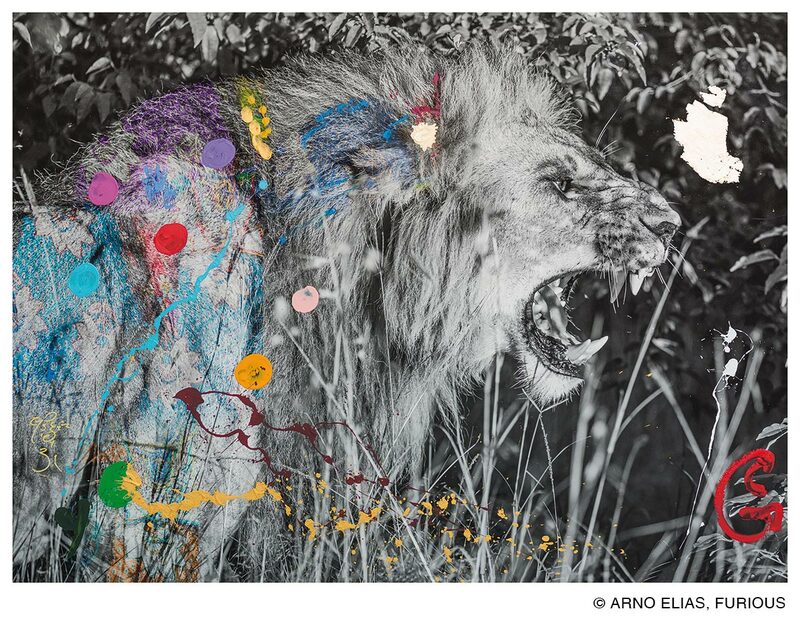 Artist Arno Elias has created a complete series of painted photographs to alert the public concerning the disappearance of animal populations such as rhinoceroses, elephants, and lions. One of the most popular celebrities today, Cara Delevingne is the ambassador of this campaign. An internationally renowned top model, with over 40 million Instagram followers, she also recently starred in the film by Luc Besson, Valerian and the City of a Thousand Planets. She regularly graces the covers of magazines and models for the biggest names in fashion, such as Burberry, Yves Saint Laurent, or Chanel. Cara Delevingne is therefore the ideal spokesperson to draw attention to and defend this cause. The powerful and effective idea behind this art project is to raise awareness as to the critical situation of endangered animal species and to fight all forms of exploitation through a visual and artistic campaign. Through the muse Cara Delevingne, a two-fold message is conveyed: the showcasing of hunted species and the hope of exposing a wide audience to this cause. 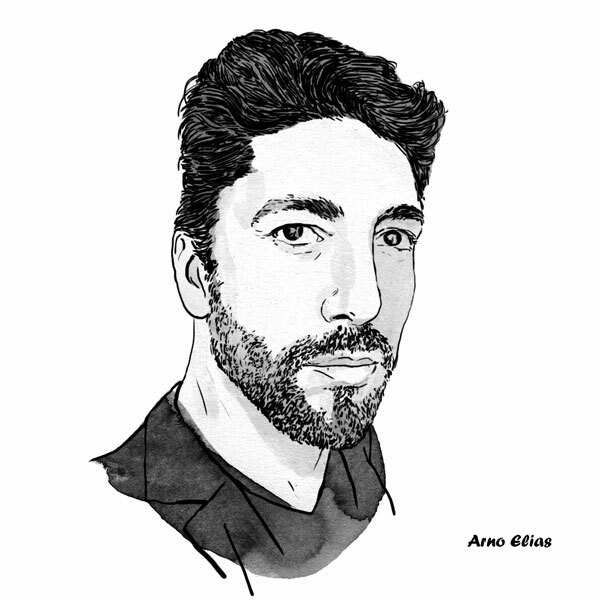 Concerned with making an impact, Arno Elias has formed a unique partnership, capable of drawing attention to a cause for which broad public awareness will help change the fate of certain animal species. To support this project, YellowKorner offers you the possibility to acquire one of the artworks, Cara Elephant or Cara Lion, with all proceeds from these sales paid in full to the I’M NOT A TROPHY project. The Earth has lost half of these wildlife species in less than 40 years. Following the death of the lion “Cecil”, killed by poachers in 2015, artist Arno Elias created the photographic series I’m not a Trophy, painted by hand, and thus became involved in the cause of animal protection. This deliberate artistic choice clearly showcases the animals’ cause but also that of body-painting, tattoos, and the diversity of photographic styles. It is an innovative concept that lends great visual power to the overall image and increases the impact of its message. The series is based on a concept of coloured layers –- between street art and tattoo artistry, applied to animals and people, as well as to the ambassador of the campaign: Cara Delevingne. Onto these images, the photographer presents a play of layers over the model’s skin, covered with artistic representations of wildlife: lions, leopards, and elephants. 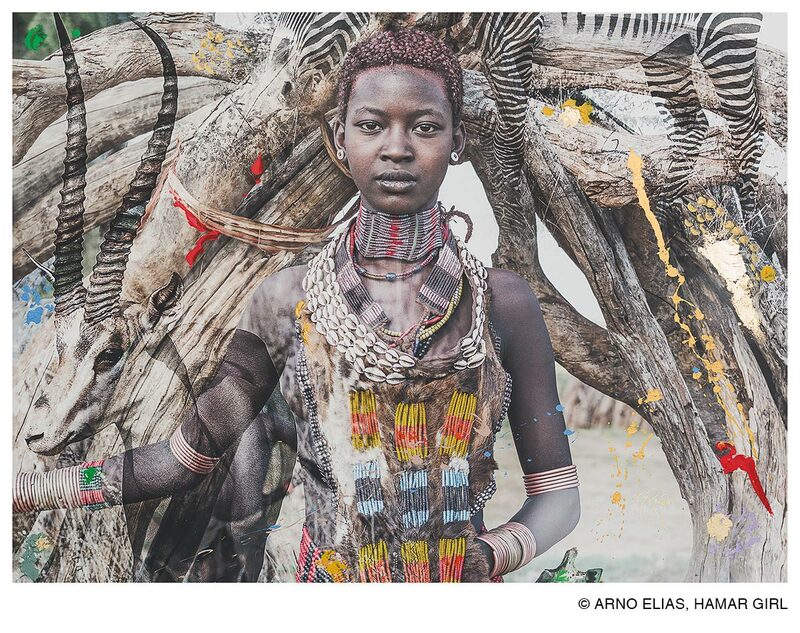 The other photographs, in black and white, are injected with bright painted colours recalling the artistic style and clothing of African tribes. The artist pays a wonderful tribute to the indigenous culture and to wildlife. French photographer Arno Elias has an artistic background brimming with his many talents: at once a musical composer, painter, and photographer, he made a name for himself internationally with his compositions for the Buddha-Bar as well as his advertising campaign for UNICEF, in association with Shakira. His vision: to be free to undertake different projects in different worlds, without concern for his career or the “right” path to follow. The artist’s inspirations stem from his observation of different cultures but also of art history in general.